Mack Herron took a handoff in a 1974 game. 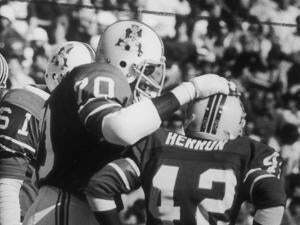 At 5 feet 5 inches, Herron was dwarfed by teammates such as offensive lineman Leon Gray. 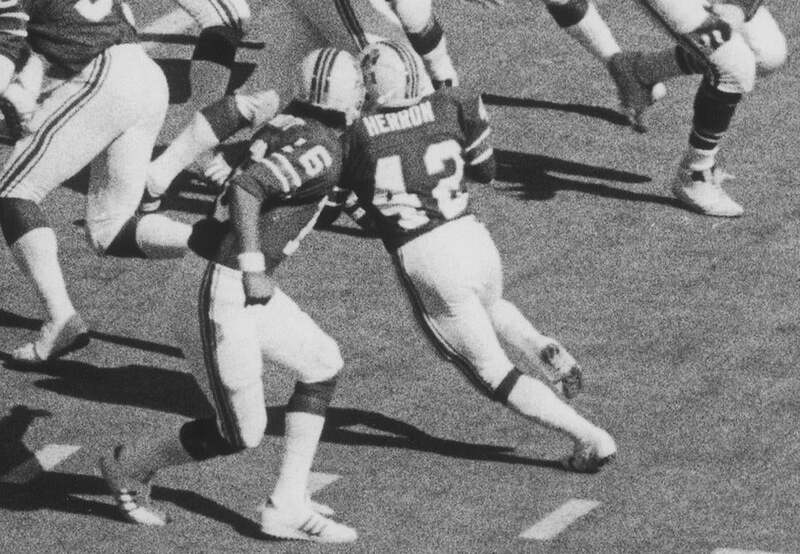 Former Patriots running back and return specialist Mack Herron died Sunday in Chicago. He was 67. “Mini Mack,” as the 5-foot-5-inch, 175-pounder was known, played for the Patriots for 2½ seasons (1973-75). Herron set a number of franchise return records and in 1973 was second in the NFL to O.J. Simpson with 1,839 all-purpose yards.